· Growth of the Algerian Church over the past decade is an answer to prayer! Pray for continued growth of this people movement to Christ! · Algeria suffered deeply in the past. People have limited freedom. Violations of human rights continue. Islamists, who oppose them. Pray that God will use this situation to draw many more to Christ. Pray for powerful conversions to Jesus among Islamic leaders in Algeria. 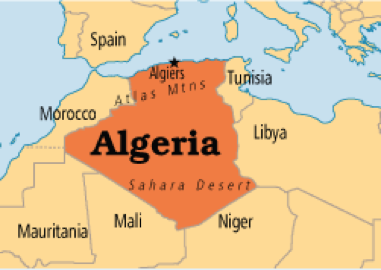 · Algeria church faces persecution. They face new restrictions from the government on evangelism and gathering for worship. Pray that the Algerian Church will respond to these pressures with faith and perseverance. · The Church has a very indigenous culture. Algeria needs more workers to help strengthen the local church and bring the gospel to unreached millions. Over 4 million Algerians live in Europe, many illegally. Pray for the network of agencies and who reach out to them. Pray for discipleship, for churches planted among them and for God to raise up many Algerian believers as missionaries to their own people. In school, students receive much teaching from the Qu’ran. Pray for ministry to reach the children. 13 Berber groups are among Africa’s least evangelized. Pray for Christian witness among each of these groups!